Payment forms: Cash, 3% surcharge on credit card payments SAVE 3% by PAYING IN CASH! Room amenities; Satellite tv, private shower, mosquito net, lounge chaires, Wi-Fi, air conditioning, hair dryier, room service, writing desk, balcony, table lamp, toiletries, electricity adaptors etc. 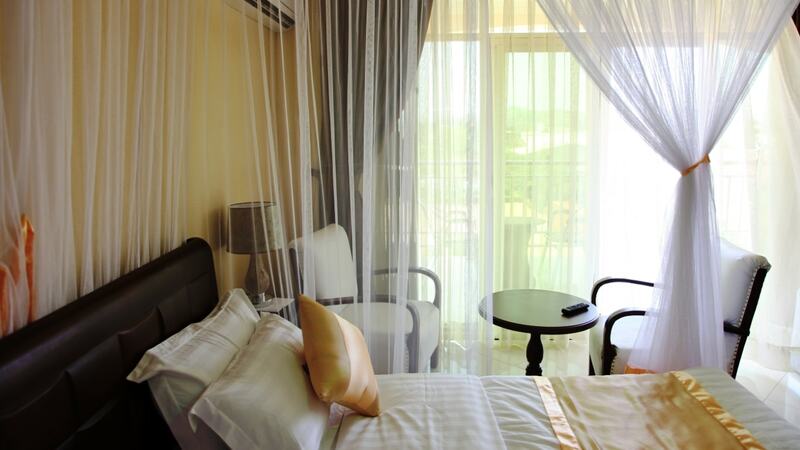 All RATES are inclusive of bed and breakfast, use of swimming pool, sauna/steam bath, Gym, Wi-Fi and room service. Check-in time: 12:00 noon Check-out time: 10:00am. All individual bookings will be guaranteed only after payment at time of reservation. Non- guaranteed bookings will be released 24hrs prior to arrival. Thank you for booking with Nican Resort Hotel.